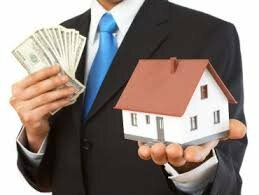 We Buy Houses for Cash Fast - - It is Real! Are Real Estate Investors the Way to Go? The blog goes on to say that “companies that pay cash for homes prey on home sellers who are in distress or need to sell quickly. You can read the full article here. I do have to preface by saying the writer is in California, and their laws are different than ours. A Perspective from a “We Buy Houses for Cash Fast” Baytown, TX company. I disagree with everything in the article. Here is a perspective from one of the “We Buy Houses for Cash” companies. First, we are providing a service to the homeowners. Usually, by the time we enter the picture the homeowner has become frustrated with their situation, they have exhausted all avenues to sell their house. They are facing foreclosure, facing divorce, upside down on their mortgage, cannot afford to repair their home any longer, behind on taxes, or tired of being a landlord, etc. We discuss solutions with the owner on ways they can keep their house if this is their wish. The fact is, the homeowner(s) in these situations will rarely sell for retail unless it is in immaculate condition and market ready. If it is, then hire a real estate agent to sell it for you. If you have the time. However, when we enter the picture, they are not market ready. Would you pay full price for a car that is missing a tire, has a broken windshield, and the AC no longer works? In cases of foreclosure, at times we can stop a foreclosure, keeping the homeowner from having that on his/her credit. We can often take over payments while he/she continues to have this payment reported each month to the credit bureaus, helping to rebuild their credit history. Why would we bring the mortgage current and take over payments, only to let the home be foreclosed on? Subject-to transactions are legal in Texas**. The fact is a real estate investor is not getting rich from a single house purchase and subsequent sale, just like a real estate agent is not getting rich from a single sale commission. If a seller could sell their house by hiring a listing agent, then they would. We use Texas Real Estate Commission (TREC) approve forms. These are the same forms realtors using when listing your house. A title company handles all our closes, and you can even pick the title company. Be leery of any company that wants a “kitchen table close,” rather than through a title company or attorney’s office. Read more here about credible “We Buy Houses” companies. You will receive cash selling either way. The difference conventional can take 45+ to close, we can close in as little as 72 hours, sometimes faster. So, you are out of your situation with cash in your hand. If you are in the situation above, you can see the benefits in selling your house to an investor. Yes, real estate investors won’t be able to offer full retail value for your home, one of the most significant benefits than going through the traditional house sale route if you can, usually from offer to close in as little as seven days with cash in your hand. We see the purchase as a win-win for all parties. For these reasons. First, the homeowner(s) is selling his/her house without the cost of repairing to sell it retail. Second, we are solving a problem that has been plaguing the owner. Finally, we are acquiring a property to fix up and sell or rent out. Everyone wins. In Summary, we help homeowners sell fast and improve their lives by accessing the money they need now. We help increase the value of the neighborhood, and we grow the tax base. We help sellers get rid of a burdensome property without the hassle. We help create local jobs. **We are not attorneys. We are not giving legal advice. Please consult your attorney.